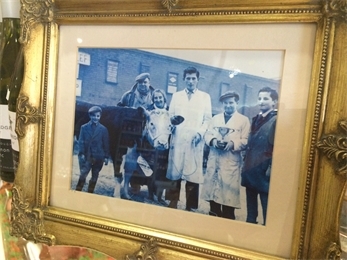 In 1940 Fred Baker was the owner of a small shop and slaughterhouse near Rugby, in the same year he exchanged these for a small farm nearby, where he began to use his farming heritage and knowledge of cattle and horses to become a cattle and horse trader. Freds sons then set up a very successful slaughterhouse and meat processing plant in nearby crick. Today Onley Grounds Farm is still owned and run as a cattle and arable farm by one of those sons, Edwin Baker. Onley Grounds Equestrian Complex which is located on the farm is run by his two sons Philip and David. David continues to have a passion for Beef after working at the slaughterhouse in Crick and now runs a successful meat cutting business, Faraday Fine Foods in Daventry. It was David and his wife Lizzy Baker who decided to open Onley Grounds Farm Shop and Butchery in 2014 to showcase the wonderful Northamptonshire grain fed beef reared on the farm whilst helping to create more facilities on the farm. We hope that Onley Grounds Farmshop will help to develop Onley Grounds Farm as a destination for the local community where you can shop, walk, eat, relax and enjoy!